I had thought of seeing the Netherlands and Flanders in a map, Great Netherlands (Dietsland). I would appreciate if anyone would like to make it, maybe interesting to the Flemish and Dutch among us. - I would like the sea to be blue and perhaps the text 'North Sea' will be included. - Land borders with Germany / France do not make too detailed such as the Benelux map of Willem, no land borders are also fine. - Brussels is a complex case because I do not think it will be part of Flanders, but it may be a place that can be left out of the map, I do not care. - The texture of the directory of https://www.warlight.net/MultiPlayer?GameID=13323802 I find this absolutely beautiful, the provinces are nicely divided, easy and attractive to play as a folder. - About 1500 areas would be ideal for such a map, I would leave North-West-East in a city, which is a bit superfluous to my mind. Prinsenvlag (Prince's flag) if we're united as one country. Yet another map of Benelux after the thousands after all that there are? Oh well, do what you want. It's not another map of Benelux, i know there are too many maps of the same area but this one is different trust me. Benelux stands for Belgium + Netherlands + Luxembourg 3 countries in one map. The Netherlands and Flanders (half of Belgium) is not the SAME, don't be so annoyed about it, if you don't like it beat it. 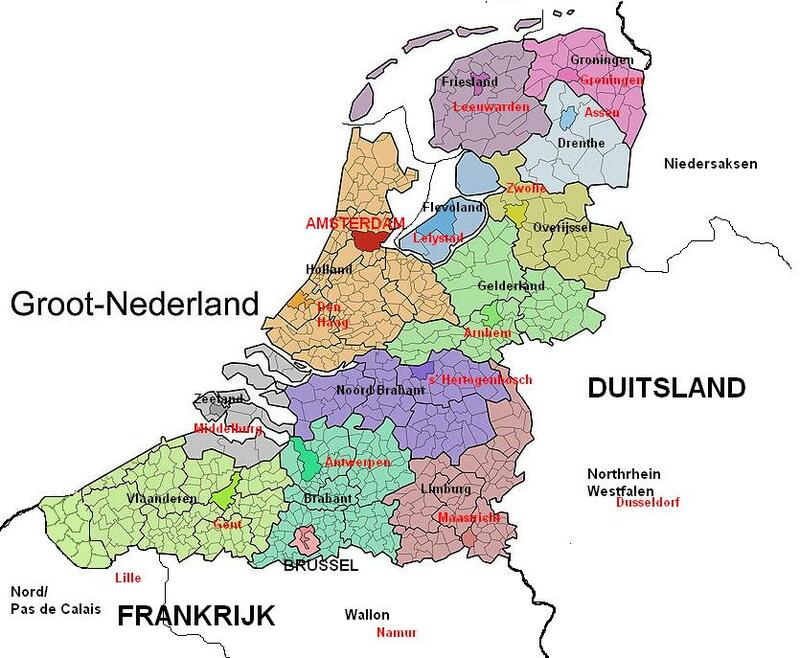 Why not make a map of the current and historical european region where Dutch is or was spoken? Inkscape is free to download, and learning to trace a map will take you half an hour at most. It will barely be any more work for you than for anyone else. So, I'd say, go ahead! Make this map! You already got all the maps you want and a clear image in your mind, so what are you waiting for?